The rich past and significant history make Burhanpur a fabulous destination that tourists love visiting, especially the historians and art lovers, who like to explore the magnificent splendor of Mughals in the city. Located at the Tapti River bank, around 340 km southwest of Bhopal, Burhanpur is a beautiful city well-known for its magnificent structures and historical remains that draws people from different parts of the country. This city is named after Sheikh Burhan-ud-din, who was a popular medieval Sufi Saint and is ruled by Mughals, who constructed many wonderful monuments here. 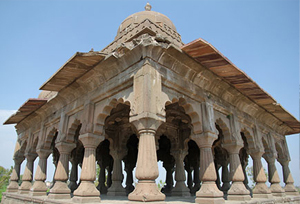 There are several tourist attractions in Burhanpur, built during the reign of Shah Jahan, the great Mughal Emperor, and the most popular of them is Shahi Qila, a majestic palace in Burhanpur. Though many of its parts are in ruins today, yet a lot of tourists visit this place to explore the ancient beauty of the structure and to see its amazing works of sculpture and exquisite carvings. Shahi Qila, which is also one of the most popular places to visit in Burhanpur, is known for an existence of Hamam or the royal bath, which is believed to be built for Shah Jaha's wife, Begum Mumtaz Mahal, to enjoy luxurious bathing. The city was ruled by the Peshwa Bajiroa for a couple of years, until handed over to the British in 1818. Several monuments and royal structures were built during this time to establish the power of the Marathas in the city. 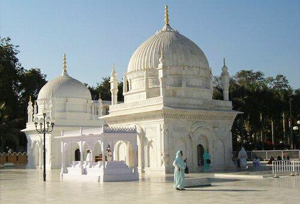 The Dargah-e-Hakimi and AsirGarh Fort are two other places that pulls a large number of tourists to this city and increases the chances of tourism in Burhanpur. Also, the fame of Burhanpur largely depends on pilgrimage for Bohra Muslims as well as for Sikhs as the city has an equal number of mosques and Gurudwaras. Burhanpur District organizes many fairs and festivals that reflect a diverse culture in the city. If you are planning a trip to Burhanpur in the months between October to March, you can witness festivals like Navratri Garba, Devi Utsav, Diwali, Balaji Mela, Guru Gobind Singhji Utsav, etc. 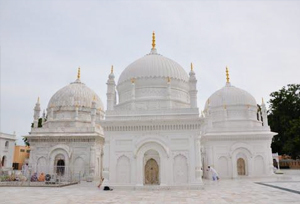 With a number of mosques, tombs, Gurudwaras, forts, and gardens, in the city, Burhanpur makes sure that it offers tourists the best of holidaying experience. Where to Stay in Burhanpur Accommodation facilities in Burhanpur are limited to a few budget hotels and guest houses, maintained by the Madhya Pradesh Tourism Department. The city has a less number of hotels as most of the tourists, who visit this place, prefer to stay in nearby big cities like Bhopal, Indore, Jabalpur, and Gwalior. However, we have sorted out a list of some good accommodation options that can offer you a comfortable stay in a pocket friendly manner. By Air: The nearest airport is at Indore city, which is around 210 kms from Burhanpur. It has good connectivity to major cities like Delhi, Mumbai, Hyderabad, Raipur, Nagpur, etc. Tourists can get direct bus service or taxis from this airport to travel to Burhanpur. By Road: Burhanpur is very close to the Maharashtra state border, and therefore it has good connectivity through road. There are frequent bus services from Indore to Burhanpur and also to other parts of the state like Bhusawal, Jalgoan, Aurangabad, and more. Best Time to Visit Burhanpur is basically famous for historical monuments and buildings, therefore it can be visited at any time of the year. But, if you really want to enjoy a good weather and stroll the entire city in a pleasurable atmosphere, then winter is the best time to visit Burhanpur. Climate from October to March is perfect to visit Burhanpur.